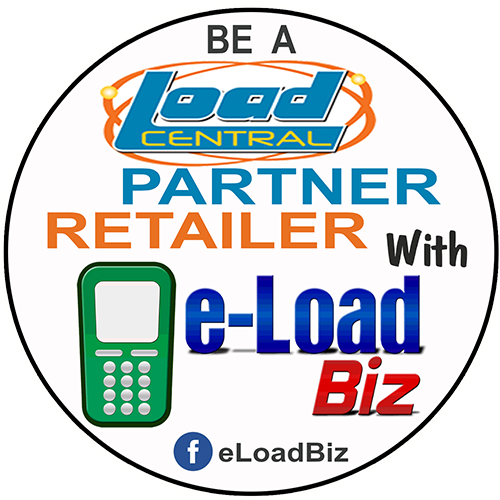 Start you own e-loading business with LoadCentral and be a part of the most successful distribution solution provider for all prepaid services in the country today. Retailer Activation or Registration is absolutely free. 2. Any cellphone number (Sun / Globe / TM / Smart / TnT) that has never been activated for Loadcentral before. 1. Please fill-up the Retailer Activation Form below. 2. Kindly email us your scanned copy of at least 1 valid ID for verification purposes. 3. 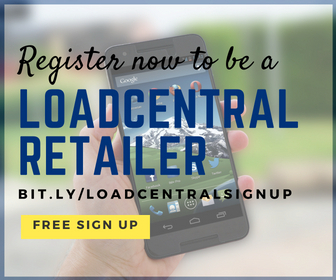 Wait for the LoadCentral Confirmation via SMS sent to your registered mobile number or your provided email address. *This is NOT an automated activation. You can also change your password through the internet by logging into the LoadCentral WebTool. NOTE: If you will use both SMS and webtool, it is better that you change your FL Password (SMS Password) and SL Password (Webtool Password) thru the webtool. Your FL password and SL password must NOT be the same so that your account will not be LOCKED. To replenish your loadwallet either thru the dealer or directly from loadcentral, please read my post "Loadwallet Purchase Payment Options". how much is the initial loadwallet purchase? 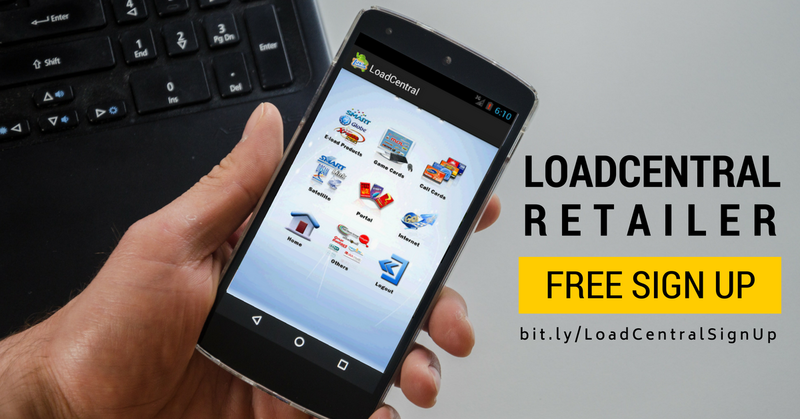 For new retailers, initial loadwallet is at least P100.00. Please note that new retailer application will only be processed after your INITIAL LOADWALLET PURCHASE. can i buy load wallet through western union? can i buy load AMPED CARD in this Load Central? and the payment via debit card? @ nihvan - sorry but I am not currently receiving payments thru debit card. would like to ask if i can deposit my payments through metrobank? @ ymer - for the initial loadwallet and activation, I am not accepting payments thru metrobank since I don't have account in there. Payments accepted are bpi or bdo deposits, gcash or smartmoney only. But once you have been activated, you have the option to replenish your loadwallet thru loadcentral directly coz one of their accepted payment method is thru metrobank. helo..how will i pay when i use g-cash..will i go to Globe center? I just wanna ask.. Some of the promos are not yet avialable such as.. Combo for sun, gaantxt20 and upsized35 for smart.. When will these promos be available 'coz some of our costumers want to avail these promos yet they are not available.. Tnx..
hi Hi i just wanted to know if it is posible to be a retailler and subdealer at the same account? @nice030481 - No,that's not possible. subdealer account should be different from retailer account. It can't be on the same sim. how to change the web password? i could not access the helpdesk sa web tool. can i use passport or driver's licensed? i don't have those id's there to send. thank u! Passport & Driver's license are also accepted. san po i-send yung valid ID? i have no g-cash nor smartmoney. is it possible to purchase loadwallet through bpi bill payment online? i'm too far and it will take an hour to get there (bank). you can buy loadwallet via BPI either by over-the-counter deposit or if you have BPI EOL accnt, you can enrol my account as third party account so that you can transfer funds for payment via online banking. Ahm.. my only valid ID is my security license card. it is accepted? im looking forwrd for your immediate response. can i use load central even i am here in kuwait? pwede po b ung below 18? tsaka student? @jay - yes, pwede po.. just use the webtool. Yes, pwede po below 18. At least 14 years old po.. just send a scanned copy of your student ID when you register. pwd kaya n magregister ulit ng ibang number pero ung details nung account na dniposit namin last friday p rin ang gamitin? d2 po b kau nagparegister? have you already sent scanned copy of your ID? holiday po kc ngaun (June 20) so there is no deposit verification today ang uniwiz. if nagfill-up po kau ng activation form d2, please send scanned copy of your valid ID so that we could verify your registration and so that we could activate your #. Then pag activated n po ung # nyo, send po ulit kau ng notification sa loadcentral to follow-up. Just like to know lang po kung na receive nyo na yung activation form na sinubmit ko kasi nag error po. hi! ask ko lng po sana kung malaki ba ang kita dito?, since tambay nmn ako sa computer shop at karamihan sa mga nag lalaro ay mahilig magpa load sa online game pwede rin ba d2 ang online game card? Yes, meron din pong mga games card. pag dito po ako nagparegister, sino ang subdealer ko po? Hi, I just registered a new number because the previous one was stolen. Do I still need to send my ID even if I used the same email to register the stolen SIM? Thanks in advance!